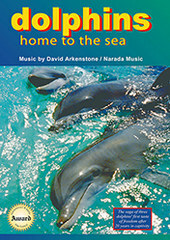 Dolphins, Home to the Sea a 52 minute documentary film. The story of Rocky, Missy and Silver, three bottlenose dolphins, and the dedicated men and women who made a dream come true. Animal rights activists, marine biologists, scientists, veterinarians, trainers, Turks and Caicos Islanders and filmmakers all joined together in the historic rehabilitation and release of these abused and captive dolphins. After months of intensive training, Rocky, Missy and Silver were released to explore the oceans and choose their destiny. Imagine being set free after 20 years of confinement. Follow the true and heartwarming story in this one-hour presentation. 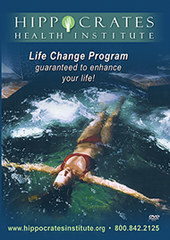 Set of 12 DVD with lectures about the Hippocrates Institute Living Foods Program. Hippocrates Health Series Description Lecture 1: Principles of Health A brief history of how Hippocrates came into being. A comprehensive explanation of the food groups in the Living Foods diet. Lecture 2: Internal Awareness The basics of the digestive/eliminative system and how to detoxify. Instruction in the proper way to use enemas and implants. Lecture 3: Supplements, Algae, Herbs and Homeopathy A guide to supplements and their benefits. Also alternative options to complete the needed consumption that our human body requires. Lecture 4: Ancient and current self-help techniques Many helpful at home healing techniques. For cuts, burns, impaired vision, infection, pre-mature gray hair; and many others. Lecture 5: Fasting on Liquid Nourishment The benefits of fasting on green juice rather than water. A review of the physical, emotional, mental, and spiritual benefits of fasting. Lecture 6: Questions and answers 1 Questions on the science, psychology, and food of the Living Foods Lifestyle. The responses provide clear and thoughtful information. For descriptions of the entire series, see Hippocrates Institute. Video Fish Book is the world's first Video Encyclopedia of undersea creatures. This beautiful 45 minute educational underwater identification guide shows natural reef environments and wildlife in spectacular color and detail. 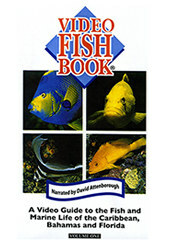 David Attenborough, world renowned natural historian, narrates the Video Fish Book. Video Fish Book explores over 64 species with fascinating facts about each. The stunning photography captures graceful stingrays being hand fed, peacock flounders, parrotfish, scorpionfish, schooling tarpons, an octopus crawling over a reef and many more. A reference card is provided as a guide through this spectacular undersea journey. The well organized information makes this videotape a perfect teaching tool. Explore the colorful and fascinating marine life of the Caribbean with Ocean Aquarium. This beautifully photographed video will take you over miles of some of the most spectacular coral reefs of the Caribbean. Fall in love with playful angelfish, or get lost in expansive coral, gardens. 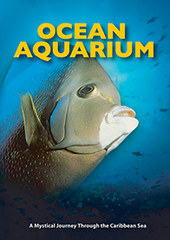 See over 75 species of fish in their natural reef environment all in starting details and color. An original music score gives this video the perfect setting for relaxing or, as a background in entertaining Filmed with BudgetVideo's BetaMarine System in the Caribbean by Anne Flinn Powel. 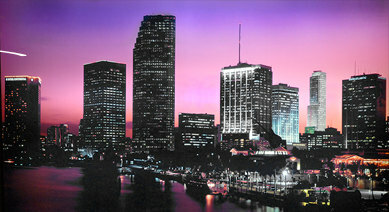 Photographs by Mike Mesgleski.